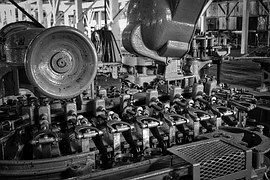 Large corporation needs mechanical laboratory for torque testing 65 mm socket wrenches with a 3/4 drive for torsional impact to be rated for impact wrench use. The torque spec for the application is 700 lb-ft, and impact wrenches used on these tools could be rated up to 1,350 lb-ft in reverse. Interested in this Machinery and Equipment Request? Other machinery and equipment laboratory services. Need Machinery and Equipment Testing or Scientific Research? Save time and money searching. Simply, submit a Machinery and Equipment request to find the laboratories or lab suppliers that best meet your needs.